Part of the fun of Toronto’s Hot Docs is analyzing different ways of partnering films together to help generate interesting conversation. We’ve organized our thoughts around specific themes we’ve seen in the films so far, starting with the effect of social media in our current political climate. Another small but important theme that runs through both The Cleaners and People’s Republic of Desire, are the people you’d least expect social media to have affected. In these two cases the focus is set on Asia, in the Philippines and China, foreign settings which help connect narrative threads. While social media platforms will have us believing in true democratization of the internet, The Cleaners, a german made documentary, vehemently argues otherwise. Interested less in the platforms themselves, it’s a film pulling back the curtains on our everyday interactions, and focusing on the human beings who decide what does or doesn’t make it onto our various timelines. The Cleaners focuses primarily on Facebook and the outsourcing of work to developing countries, in this case—Manila in the Philippines—and the very hushed nature of the work that goes on. For 12 hours a day, employees act as gatekeepers, looking at vile, despicable images and videos and deciding what is and isn’t allowed to be seen,. “This is a hidden industry nobody really knows about right now,” said co-director Hans Block.” All of the big ones, Facebook you name it, try to hide that this exists, and that was very interesting to us. And we wanted to know why, they were hiding this, so we travelled to Manila after doing some research,” he said. It’s the type of thing that lays hidden in the back of your mind: of course Facebook was filtering what made it onto the platform, they’d be silly not to. But faced with it up close The Cleaners is more interested in the human cost of this type of work. The non disclosure agreements every employee has to sign, the inability to explain to anyone what they do, and the mental health issues that arise when subjecting oneself to awful imagery on a day-to-day basis. Co-director Moritz Riesewieck wanted to make this documentary with that hopes of “changing an anomaly, taking something invisible and bringing it into the light,” and the film does a fantastic job of presenting a balanced, nuanced story. When facing economic depression in real life and feeling like you don’t belong has you down and out, what can you do? How do you escape for a little while? You turn to an online community. More specifically, you turn to the world of YY Online Entertainment. For China’s up and coming generation, there’s a malaise hanging over society, feeling out of step from the world in which they find themselves in. 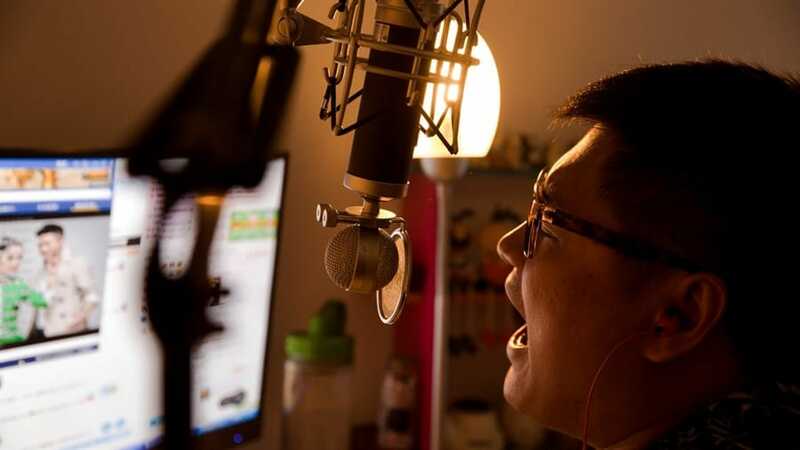 Modeling itself after the likes of American Idol circa 2003, YY is full of contestants: comedians, singers, internet personalities, who all vie for the attentions of their viewers, who in return shower them with virtual respect and real world cash. When you signed into YY, a lonely “diaosi,” could get noticed and shoot to superstardom. The way People’s Republic of Desire depicts the act of using the platform—going into the computer so to speak—was visually interesting and made sense on a systems level — you could understood the appeal of the platform. It also wisely shows us multiple perspectives, including what happens when contestants get in over their head and the agencies once sponsoring them with hundreds of thousands of dollars, now want their money back. Some of the questions the documentary raises, are unanswerable and unfixable. But director Hau Wu acknowledges this fact and just wants us to look at the value of physical interaction and the worth of our social identity when faced with a true crisis. It’s a film ultimately trying to ask whether or not the commodification of life is worth the 30 seconds of fame. It’s sure to be a fascinating film for social media mavens in North America who are given an opportunity to peak into see how another culture is interpreting the influencer economy in their own unique way.